This paper summarizes the results of a quantitative benchmarking survey to over 200 Life Science organizations. 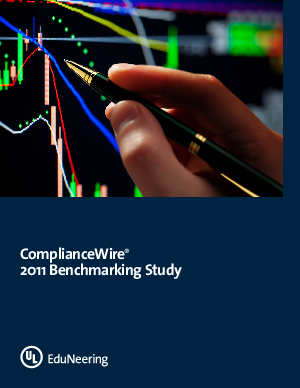 The study identifies the key compliance and performance improvement training topics that clients had addressed in 2011 along with key issues for 2012. We identify "best practices" from activities in ComplianceWire®, in which more than 20 million training completions were captured from more than 200 Life Science companies, ranging from global enterprises to small entrepreneurial companies. This benchmarking study has been produced since 2008, and we believe it informs the business and compliance learning trends that affect the Life Science industry.